This indicator was first introduced in the early 1990s. It uses four rate of change values to determine the trend of the market. Where Price refers to current closing price and Price(X1) refers to the closing price X1 bars ago. 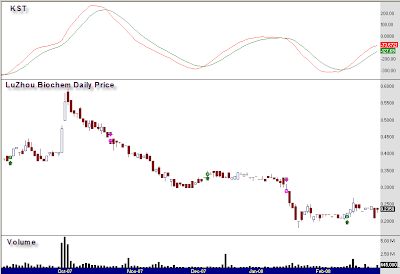 Let’s look at an example for this indicator. I have chosen Lu Zhou Biochem as a case study. Out of 10 trades, 7 were profitable. 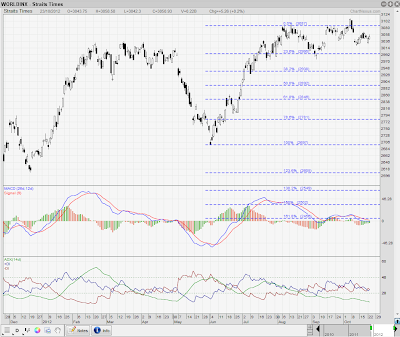 Martin Pring – Technical Analysis Explained.